Welcome to Big Red Sports' car parts department. As the name you can rely on in your pursuit of the appropriate vehicle component, Big Red Sports has created a reputation of doing things right the first time when it comes to supplying you with the part you require to tackle whatever maintenance issue comes your way. Going a stride further, working with with our group of dependable Kia parts gurus means also having access to an abundance of insight and experience that you simply will not find anywhere else. Whether you need guidance on the right component for the job or some extra perspective regarding how to get things into place, you can trust in the reality that our dedicated Kia professionals will be more than happy to help you in this undertaking. Want to discover more about why acquiring OEM replacement parts from Big Red Sports is never a bad call? Then now is a good time to dig even deeper into the advantages of connecting your parts needs with the expertise provided by the friendly and informative staff of specialists available in the Big Red Sports parts department. Prior to diving headfirst into the particulars of why OEM parts from Big Red Sports are always your preferred option for restorations, it makes plenty of sense to first bring you up to speed with precisely what "OEM" means. Specifically, only parts made solely by Kia for Kia cars are permitted to garner this superlative. Even though other aftermarket companies might try and pass off their offerings as having the same quality and commitment to excellence as a legitimate OEM part, the big key here is that only items sealed with the endorsement of Kia have earned the right to this elevated standard. Should I Shop for OEM Parts? A Commitment to Quality Unlike Any Other – Kia OEM equipment must pass through rigorous examination and appraisal before finding its way to you, so you should never have any concerns regarding the lasting quality and durability of these replacement items. Proven to Suit Your Unique Repair Needs – While other parts suppliers might try to take a page from Kia OEM parts, there is really no way around the fact that only certified OEM parts from Kia are crafted exclusively with the specific features of your automobile in mind. 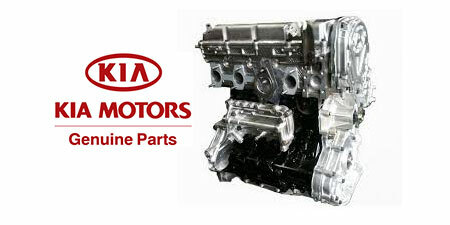 The Only Parts in Town Manufactured by Kia's Team of Engineers – The very same people that fashioned your favorite Kia vehicle also laid out the foundation behind the authorized OEM parts available here at Big Red Sports, so it stands to reason that it is definitely a smart call to buy components that come directly from this group of certified Kia parts development gurus. Backed by a All-Inclusive Manufacturer's Warranty – The Kia organization is committed to bringing you peace of mind, so you can feel reassured in the promise that OEM components from this producer come with a customer-centric warranty that shields you and your vehicle. To put everything in uncomplicated terms, buying OEM parts directly from Big Red Sports means deciding to invest in the future of your car – and ensuring the job gets done right the first time. Now that we have gone over what makes OEM equipment the best choice, it is time tackle your final concern: Does Big Red Sports have the Kia part I need? Simply put, the answer to this question is most certainly yes! As you can see, when it comes to supplying the men and women of Norman with access to accredited Kia OEM parts, it is apparent that Big Red Sports' supply of Kia OEM parts is far more expansive than that of the other dealerships in Norman. How Do I Invest In Kia OEM Parts from Big Red Sports? Now that you have gotten to this point, you are no doubt prepared to get the ball rolling toward a successful vehicle maintenance and drive home with the necessary OEM part for the repair at hand. To get the ball moving on this process, you have a few options. to start, you can plan a trip to the Big Red Sports parts department and have a representative from our dedicated Kia parts crew assist you through the particulars of this important acquisition. Should the part you need to have be available in our parts inventory, you can take it with you immediately following your trip to Big Red Sports; for anything else you need, we will be ready and willing to get an order in with Kia and have the part shipped out as soon as possible. For those customers who would prefer to go through online channels, feel free to look over the OEM parts order form found below. Right after you do this, a member of the dependable Kia OEM parts specialists will give this request an extensive inspection and connect with you to ensure that you acquire the part you require in a timely fashion. Thanks again for dropping in on the Big Red Sports parts page and we look forward to supplying you with access to the best assortment of excellent Kia OEM offerings in Norman the next time you find yourself facing down an automotive repair undertaking.